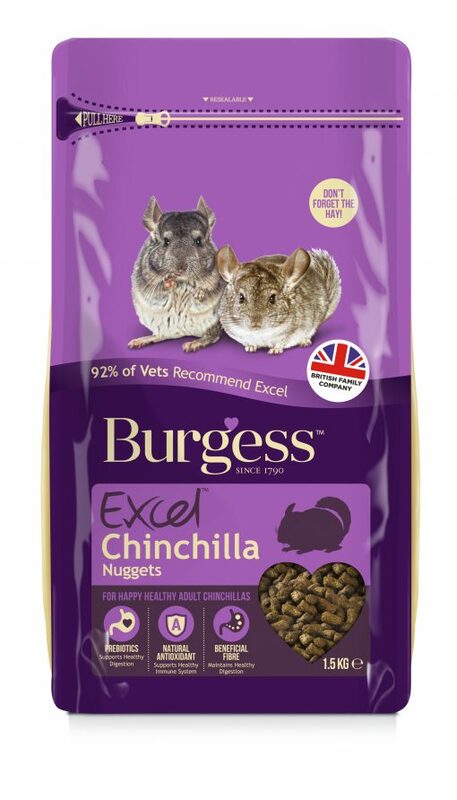 Burgess Excel Chinchilla Nuggets | Topflite Ltd. 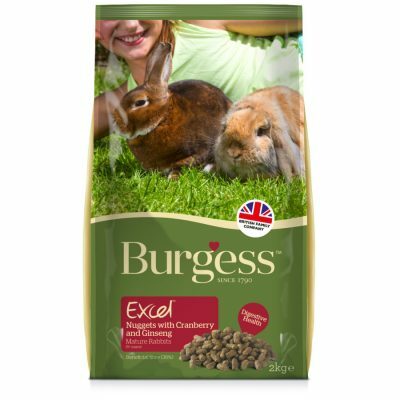 Ingredients: wheat, Lucerne, soyabean hulls, oatfeed, hipro soya, peas, wheat feed, brewers yeast, soya oil, mint (1.25%),arbocel, dicalcium phosphate, salt, limestone, monocalcium phosphate, short chain fructooligosaccharides (0.2%). Nutritional Additives: vitamin A 30,000 iu/kg, vitamin D3 3,500 iu/kg, vitamin E 140mg/kg, vitamin C 825 mg/kg, copper sulphate pentahydrate (E4) 30mg/kg, Iodine 1.17mg/kg, sodium selenite 0.67 mg/kg, ferrous sulphate monohydrate 200 mg/kg, manganese sulphate monohydrate 187.5 mg/kg, zinc sulphate monohydrate 257.1 mg/kg, and DL-methionine 1,240 mg/kg. 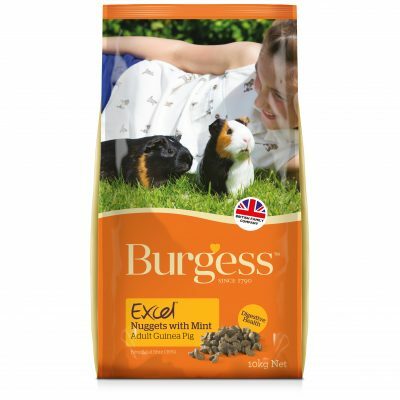 Crude Protein 17%, Beneficial Fibre 31%, crude oils and fats 4%, crude fibre 16%, crude ash 6.5%. Feeding guide: Feedan egg cup full of Nuggets each day. Remember that good quality hay and/or grass should make up the majority of your chinchillas’ diet and should be available at all times. Chinchillas should also be fed a small amount of leafy greens each day. Please talk to your vet for further information. 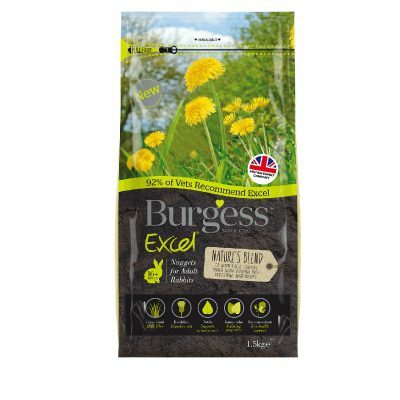 Available in: 1.5kg individual re-sealable bag.